Mammoth Cave Horse Camp is nestled on the fringe of Mammoth Cave National Park in south central Kentucky. While staying here you will experience approximately 60 miles of back country trails offering incredible views of big timber, caves, rivers, waterfalls, creeks, four seasons of color and an abundance of wildlife. While in camp you will enjoy first class amenities including water, electric, picnic tables, fire rings and a modern restroom and shower facility, as well as large covered 10x12 stalls for the horses. Book your stay with us, because there's no other place like it! Visited us recently? Please review our camp, we would love to hear your feedback. View our upcoming events at the horse camp. Throughout the year we offer lots of great value, special weekend events featuring delicious home cooked meals and exciting evening entertainment. Online maps of our hiking and horseback riding trails. Nestled next to the beautiful and Mammoth Cave National Park, our camp offers over a dozen stunning riding trails spanning 60 scenic miles. 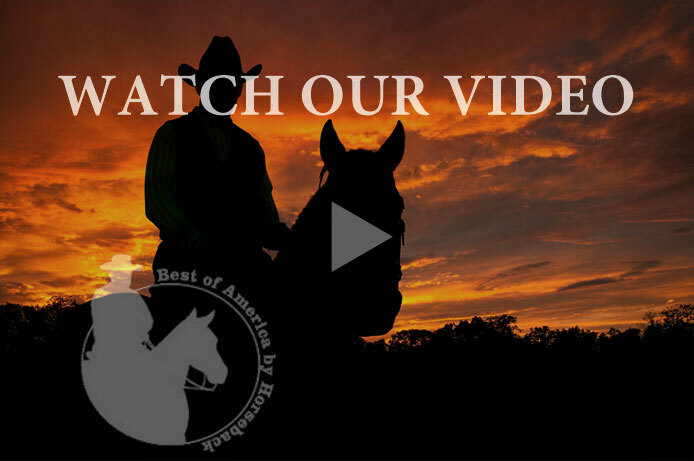 View photos of our camp, events, and horse trails. Our campgrounds are designed to provide our visitors with the most pleasurable and enjoyable experience while staying at our camp. Sign Up to Receive News, Events, and Special Offers from our Camp.